We aim to provide the very highest standards of treatment. We really do care about our patients, and take every effort to develop a happy relationship with everyone we see. We look forward to meeting you at "Number Twelve"
Dr Maclean qualified as a Dental Surgeon at the Glasgow Dental Hospital in 1983. 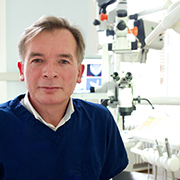 He has a special interest in cosmetic dentistry, Implants and endodontics, and strives to make coming along to the Practice as relaxing as possible. He has been the owner of Number Twelve since 2006 and has built up a good reputation with both his patients and colleagues. 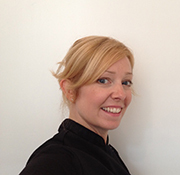 Louise has been nursing for 23 years and has a wealth of experience in all aspects of Dental Nursing. Louise ran a successful Implant training course for Dental Nurses for several years. As her role as Treatment Coordinator she is able to answer any questions you may have about dental treatment, and the costs involved. If you have any questions about the treatments we provide at No. Twelve please contact Louise to make a free consultation appointment. Dental advice from Dr Ewan Maclean. Cosmetic dentist in Wimpole Street at Dentistry in London W1, welcomes new dental patinets and nervous patients in London, W1.